Reliance Jio is set to revamp some of its prepaid recharge packs. Jio is offering more data in its prepaid recharge plans. Reliance Jio is set to revamp some of its recharge packs. 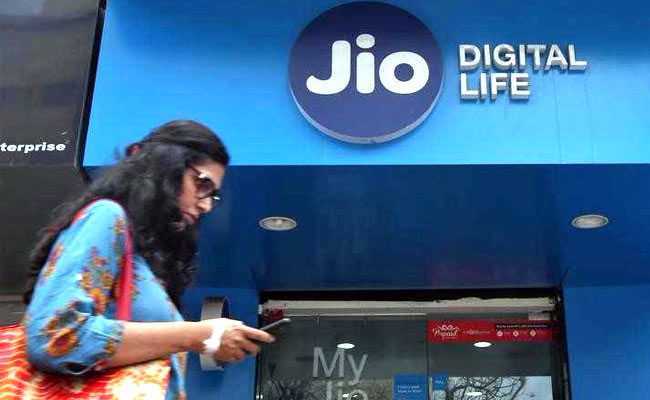 Reliance Jio plans to offer more data in the same prices and also lower the rates of some of its existing prepaid recharge plans, a source told NDTV. The current plans will be updated with the latest offers on Tuesday, the source said. Jio, the latest entrant in the country's telecom industry, is offering more data in cut-throat competition with incumbent operators including Bharti Airtel, Vodafone India, Idea Cellular and Bharat Sanchar Nigam Limited (BSNL). In fact, the largest telecom operator in terms of subscribers, Bharti Airtel, recently slashed the prices of two of its prepaid recharge plans. 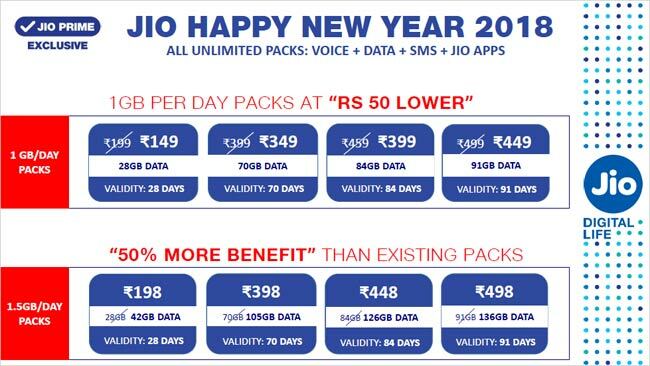 Jio currently offers 28 GBs of 4G data for 28 days under its Rs 198 prepaid recharge plan. After the revision, due on Tuesday, this prepaid recharge plan will come with 42 GBs of data for 28 days. That means, the current high speed limit of 1 GB per day for the entire validity period will be revised to 1.5 GBs per day data. Unlimited local, STD, roaming voice calls and SMS benefits will be available with this prepaid recharge plan for the validity period of 28 days. Jio's Rs. 199 prepaid plan will be available at Rs. 149 after the likely price cut of Rs. 50. This means what Jio was offering at Rs. 199 prepaid recharge plan will be available at Rs. 149. Under this offer, customers will get 28 GBs of 4G data with a daily cap of 1 GB for a validity period of 28 days. This pack will also come with the benefit of unlimited local, STD, roaming voice calls and SMS for the validity period. Jio's Rs. 399 prepaid plan will be available at Rs. 349 after the likely price cut of Rs. 50. This means what Jio was offering its prepaid subscribers at Rs 399 will be available at Rs. 349. Under this offer, customers will get 70 GBs of 4G data with a daily cap of 1 GB for a validity period of 70 days. The recharge pack will include the benefit of unlimited local, STD, roaming voice calls and SMS for the 70-day period. Jio's Rs. 459 prepaid plan will be available at Rs. 399 after a likely price cut of Rs. 50. This means what Jio was offering at Rs. 459 prepaid recharge plan will be available at Rs. 399. Under this offer, customers will get 84 GBs of 4G data with a daily cap of 1 GB for a validity period of 84 days. This pack will also come with the benefit of unlimited local, STD, roaming voice calls and SMS for the validity period.